Custom APP development Company Solving Your Tough Tech Needs! Turn your idea into amazing mobile web application. We are a mobile APP development company specializing in the development of iPhone, Android and Web applications. Share your idea with one of the top mobile APP developers in Pakistan and avail best services from one of the best mobile APP development companies Pakistan. Right from the start, we harness the latest and best tools, SDKs, and frameworks to ensure our mobile APP development services cater for iPad, iPhone and Android. Our work has placed us in one of the top mobile APP development companies. With our wide range of world-class enterprise mobility solutions, we are expert in providing best mobile APP development services to write the success story of your business. We hire brilliant mobile APP developers to deliver projects on time and maintain the top-notch code standards. Our versatile business domain experience empowers us to communicate effectively with our clients and identify their business requirements easily. We are familiar with program design, development, integration and key process operations. An extensive knowledge base and comprehensive experience help us deliver solutions on time for every specific situation. Deliver native iOS, Android, and Web APPs using existing skills, teams, and code. You’re creating an experience, starting a business, following a dream. We're here to help. We have successfully delivered our innovative and performance-oriented mobile APP development services to small, medium, and large companies alike, worldwide. We Only Make Great Products. Top Quality Is Our Top Priority. We are an APP development company that turns your ideas into a new driving force of your business. Mobile APP development indeed nowadays necessary for all the business. We, as a mobile application development company can provide high quality standard mobile APP of any category. We have worked with diverse brands, organizations, start-ups and individuals to create powerful APPs from excellent idea. Google Android has become a major rival for Apple as well as other platforms that have difficulty regarding OS and hardware fronts. As such, the creation of compatible and cost-effective mobile APPs for Android-based tablets and smart phones has proven difficult for most mobile APP developers. Ranglerz Digital Marketing has the infrastructure and expertise to manage any Android APP development service. Why Choose Ranglerz Digital Marketing for Mobile APP Development Services? With more than 4 years of solid industry experience, Ranglerz has carved a niche for itself by excelling in multiple web based technologies and serving its global clients. We strive persistently to improve our quality services, development techniques, practices, management skills and QA models to increase our team’s potential and enhance customer satisfaction. For complex multi-level projects, we offer a dedicated team model, where the team itself is a presenter of all the experience, technologies, and architecture. It is crucial when creating an entire ecosystem with mobile APPs, admin dashboards, backend, and infrastructure. Ranglerz holds over 4 years of in-depth experience of providing specialized web & mobile APP development services to its worldwide clients. We have lucratively accomplished more than a hundred projects of varying dimensions and complexity in multiple technology and business domains. We exploit our accumulated experience to the maximum and deliver an array of full-cycle services, from industry analysis and consulting to project deployment and support. 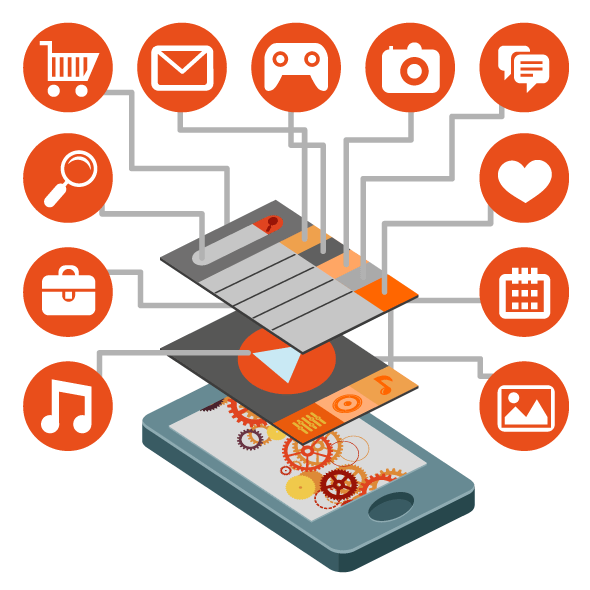 We offer reliable and customized mobile APPs development solutions. Contact us now to learn how we differ from other Android and iPhone APP development companies. Hire professional mobile APP developers now and find out how our Android and Windows APP developers can make a big difference to your business.